N 37° 58' 46" and E 23° 42' 58"
Athens in Nomarchía Athínas (Attica) with it's 664,046 inhabitants is a city in Greece. It's the capital of this country. Local time in Athens is now 12:35 AM (Monday). The local timezone is named Europe / Athens with an UTC offset of 3 hours. 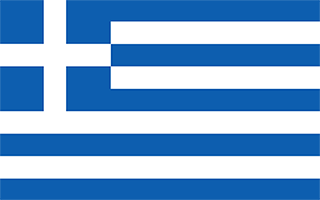 We know of 9 airports in the vicinity of Athens, of which two are larger airports. The closest airport in Greece is Athen Helenikon Airport in a distance of 6 mi (or 10 km), South. Besides the airports, there are other travel options available (check left side). There are several Unesco world heritage sites nearby. The closest heritage site in Greece is Acropolis, Athens in a distance of 1 mi (or 1 km), South-East. We found 3 points of interest in the vicinity of this place. If you need a place to sleep, we compiled a list of available hotels close to the map centre further down the page. Depending on your travel schedule, you might want to pay a visit to some of the following locations: Aigaleo, Kallithea, Nea Smyrni, Dafni and Vyronas. To further explore this place, just scroll down and browse the available info. Let's start with some photos from the area. 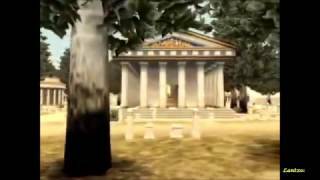 Take the tour in this time travel...it's a compilation of 3d films of ancient greek constructions. street people engaged in drug-taking activities on the plaza - view from our hotel. 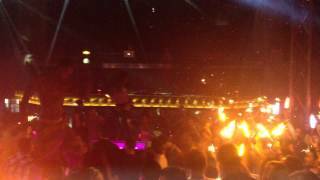 Athens is a super nice city by the way, so don't let this video sway you into not going. Gogol Bordello returned in Athens with an unforgettable show... - Live Review at http://bit.ly/1g41KDV. 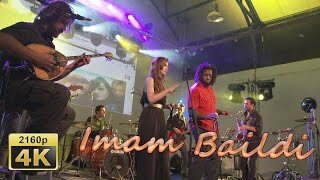 TBEX Athens Opening Night Party, Imam Baildi English: http://blog.myvideomedia.com/tbex-2014-athens-opening-party/ Deutsch: http://blog.myvideomedia.de/2014/11/tbex-2014-athen-opening-party/. TBEX Athens Opening Night Party, Technopolis English: http://blog.myvideomedia.com/tbex-2014-athens-opening-party/ Deutsch: http://blog.myvideomedia.de/2014/11/tbex-2014-athen-opening-party/. Keramikos is an area of Athens, Greece, located to the northwest of the Acropolis, which includes an extensive area both within and outside the ancient city walls, on both sides of the Dipylon (Δίπυλον) Gate and by the banks of the Eridanos River. It was the potters' quarter of the city, from which the English word "ceramic" is derived, and was also the site of an important cemetery and numerous funerary sculptures erected along the road out of the city towards Eleusis. Located at 37.9783, 23.7186 (Lat. / Lng. ), about 0 miles away. The Pnyx is a hill in central Athens, the capital of Greece. Beginning as early as 507 BC, the Athenians gathered on the Pnyx to host their popular assemblies, thus making the hill one of the earliest and most important sites in the creation of democracy. The Pnyx is located less than 1 kilometre west of the Acropolis and 1.6 km south-west of the centre of Athens, Syntagma Square. Located at 37.9717, 23.7194 (Lat. / Lng. ), about 1 miles away. 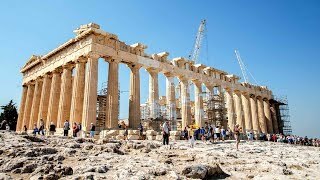 The Temple of Hephaestus, also known as the Hephaisteion or earlier as the Theseion, is a well-preserved Greek temple; it remains standing largely as built. It is a Doric peripteral temple, and is located at the north-west side of the Agora of Athens, on top of the Agoraios Kolonos hill. From the 7th century until 1834, it served as the Greek Orthodox church of St. George Akamates. Located at 37.9756, 23.7214 (Lat. / Lng. ), about 0 miles away. The Ancient Agora of Classical Athens (aka Forum of Athens in older texts) is the best-known example of an ancient Greek agora, located to the northwest of the Acropolis and bounded on the south by the hill of the Areopagus and on the west by the hill known as the Kolonus Agoraios, also called Market Hill. Located at 37.975, 23.7225 (Lat. / Lng. ), about 0 miles away. The Stoa of Attalos (also spelled Attalus) is recognised as one of the most impressive stoae in the Athenian Agora. It was built by and named after King Attalos II of Pergamon who ruled between 159 BC and 138 BC. Located at 37.975, 23.7242 (Lat. / Lng. ), about 1 miles away. Monastiraki is a flea market neighborhood in the old town of Athens, Greece, and is one of the principal shopping districts in Athens. The area is home to clothing boutiques, souvenir shops, and specialty stores, and is a major tourist attraction in Athens and Attica for bargain shopping. The area is named after Monastiraki Square, which in turn is named for the Pantanassa church monastery that is located within the square. Located at 37.9764, 23.7236 (Lat. / Lng. ), about 0 miles away. The Stoa of Zeus at Athens, was a two-aisled stoa located in the northwest corner of the Ancient Agora of Athens. It was built c. 425 BC–410 BC for religious purposes in dedication to Zeus by the Eleutherios (Freedom): a cult founded after the Persian War. It is different from others in that it was a stoa rather than a temple (the common building used for religious purposes). Scholars believe the building also served other civic purposes due to its central location. Located at 37.9757, 23.7221 (Lat. / Lng. ), about 0 miles away. The National Observatory of Athens (NOA) (Greek: Εθνικό Αστεροσκοπείο Αθηνών) is a research institute in Athens, Greece. Founded in 1842, it is the oldest research foundation in Greece, as it was the first scientific research institute built after Greece became independent in 1829, and one of the oldest research institutes in Southern Europe. Located at 37.9733, 23.72 (Lat. / Lng. ), about 0 miles away. Votanikos is a subdivision located 3 km west of the downtown part of the Greek capital of Athens. The area is named after a nearby botanical garden situated to the southwest. The eastern part are residential, the western part are forested and industrialized. The subdivision has no squares but has a nearby school. Located at 37.9758, 23.7164 (Lat. / Lng. ), about 0 miles away. Psyri or Psiri or Psyrri or Psirri is a gentrified neighbourhood in Athens, Greece, today known for its restaurants, bars, live music tavernas, and small number of hotels. Until the early 1990s, Psyri had a dangerous reputation, but it has now become one of the most fashionable and trendy choices in the centre of Athens for accommodation, entertainment and food hospitality. Located at 37.9778, 23.725 (Lat. / Lng. ), about 0 miles away. Thiseio, also Thisseio, Thisio and Thissio is the name of a neighborhood in downtown Athens, Greece, northwest of the Acropolis, 1.5 km southwest of downtown, and 1 km southwest of city hall; its name derives from the Temple of Hephaestus, also known as Τhiseio, as it was, in earlier times, considered a temple of Theseus. The area also takes in the ancient Agora, Petralona, and Kerameikos, which includes the Assomaton Square. In Assomaton Square there is Agioi Assomatoi church. Located at 37.975, 23.7167 (Lat. / Lng. ), about 0 miles away. Thiseio is an Athens Metro station, located in Thiseio at 8.603 km from Piraeus. It is located in Athens and took its name from the nearby Temple of Hephaestus which is famous as Thiseio. The station was first opened on February 27, 1869 and was renovated in 2004. It has two platforms. Thiseio station is the first railway station in the city of Athens, other than the Thiseio–Piraeus of today's line 1 of ISAP and the first railway line other than the range of the Greek government. Located at 37.9768, 23.7204 (Lat. / Lng. ), about 0 miles away. Pieridis Museum is a museum in Athens, Greece. Its collection includes items dating back almost nine thousand years, from the neolithic period to the Middle Ages. They are a part of the archaeological collection of the Pierides Museum in Larnaca, Cyprus. It is situated in the Athinais Culture Center in Votanikos, about 2 km west of downtown Athens. Located at 37.9834, 23.7109 (Lat. / Lng. ), about 0 miles away. The Municipal Gallery of Athens is a museum in Athens, Greece. It houses a rich collection of nearly 3,000 works from leading 19th- and 20th-century Greek artists. Formerly located on Peiraios Street on Eleftherias (Koumoundourou) Square, in October 2010 the gallery moved three blocks northwest to the corner of Myllerou and Leonidou streets on Avdi Square in Metaxourgeio. Located at 37.9828, 23.7194 (Lat. / Lng. ), about 0 miles away. The Centre for the Study of Traditional Pottery, also known as Psaropoulos Museum of Traditional Pottery and as Study Centre for Contemporary Ceramics is a museum in Athens, Greece. The study centre was established in 1987 to research, preserve and promote the production of traditional Greek ceramics. Since 1999 it has been located in a neo-classical building at 8 Hepitou Street in Plaka and was officially inaugurated on May 18, 2000, International Museum Day. Located at 37.9784, 23.7204 (Lat. / Lng. ), about 0 miles away. 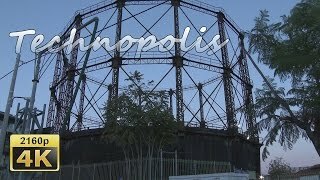 Technopolis (Gazi) is an industrial museum and a major cultural venue of the City of Athens, Greece, in the neighborhood of Gazi, next to Keramikos and very close to the Acropolis. It is dedicated to the memory of the great Greek composer Manos Hatzidakis, which is why it is also known as "Gazi Technopolis Manos Hatzidakis". It has been in operation since 1999 and is situated in the city's former gasworks which were founded in 1857, occupying an area of about 30.000 m2. Located at 37.9781, 23.7141 (Lat. / Lng. ), about 0 miles away. The Melina Merkouri Cultural Centre is a municipal cultural organization in Athens, Greece. It is housed in an impressive old hat factory in Thisseio. The Centre has two permanent exhibitions, the one called "Travelogue of Athens", which presents the neighborhoods of Athens at the beginning of the 20th century, and the other "The Charidimos Shadow Theater", with figures and materials of the famous shadow theater artist. The Centre also includes the "Melina" hall, a 220 sq.m. Located at 37.9761, 23.7143 (Lat. / Lng. ), about 0 miles away. Gazi is a neighborhood of Athens, Greece. It surrounds the old Athens gasworks, which is an industrial museum and exhibition space, widely known as Gazi, next to Keramikos and close to the Acropolis. It is home to the Technopolis of Athens, that spreads in an area of about 30.000 m2, an industrial museum of modern architecture. In the past ten years it has been growing rapidly as the new, and expanding, Athens gay village. Located at 37.9781, 23.7144 (Lat. / Lng. ), about 0 miles away. Metaxourgeio or Metaxourgio or Metaxouryio (Μεταξουργείο in Greek) is a neighborhood of Athens, Greece. 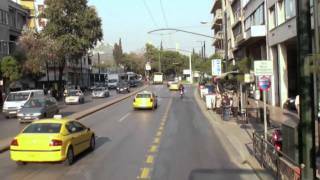 The neighborhood is located north of the historical center of Athens, between Kolonos to the east and Kerameikos to the west, and north of Gazi. Metaxourgeio is frequently described as a transition neighborhood. Located at 37.9861, 23.7214 (Lat. / Lng. ), about 1 miles away. The Monument of the Eponymous Heroes, located in the Ancient Agora of Athens, Greece and adjacently situated near the Metroon, was a marble podium that bore the bronze statues of the ten heroes representing the tribes of Athens. Being an important information center for the ancient Athenians, it was used as a monument where proposed legislation, decrees and announcements were posted. Located at 37.9752, 23.7223 (Lat. / Lng. ), about 0 miles away. The Temple of Aphrodite Urania is a temple located north-west of the Ancient Agora of Athens and dedicated to the Greek goddess Aphrodite under her epithet Urania. According to Pausanias, the sanctuary had a marble statue of the deity sculpted by the ancient Greek sculptor Phidias. Today, there are a few number of saved stones on the slope of the hill beside the train tracks and near the temple of her husband Hephaestus. Located at 37.976, 23.7217 (Lat. / Lng. ), about 0 miles away. The Altar of Zeus Agoraios is a 4th century BC altar located north-west of the Ancient Agora of Athens, constructed from white marble, 9 m deep and 5.5 m wide. It was one of the first objects to be discovered inside the Agora during the excavations of 1931. Evidence of marks done by masons from the Augustan period show that it was moved from an initial source later identified as the Pnyx located outside the ancient Agora. Located at 37.9752, 23.7225 (Lat. / Lng. ), about 0 miles away. The Temple of Apollo Patroos (meaning "from the fathers") is a small ruined temple of Ionic order built in 340-320 BCE. It is 10 m wide and 16.5 m long and located north-west of the Ancient Agora of Athens near the Stoa of Zeus. Considered to be the founder of the Ionian race and protector of families, the temple's interior had a cult statue dedicated to the god and made by the famous Greek sculptor Euphranor. Located at 37.9755, 23.7221 (Lat. / Lng. ), about 0 miles away. 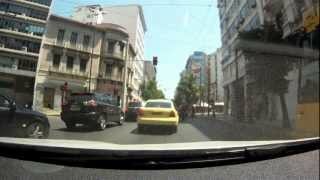 The Radio Amateur Association of Greece (RAAG) (in Greek, Ένωσις Ελλήνων Ραδιοερασιτεχνών - ΕΕΡ) is a national non-profit organization for amateur radio enthusiasts in Greece. The society was founded in February 1958, facing great difficulties due to negative attitude of the Greek Government of the time towards amateur radio. RAAG represents the interests of Greek amateur radio operators before national, European, and international telecommunications regulatory authorities. Located at 37.9843, 23.7162 (Lat. / Lng. ), about 0 miles away. Avdi Square is a public gathering place located in the Metaxourgeio neighbourhood of Athens, Greece, bounded by Leonidou, Kerameikou, Giatrakou and Germanikou streets. On the edges of the square stand the Municipal Gallery of Athens, several cafes, theatres, businesses and residential buildings. The City of Athens renovated the square in 2008, increasing the amount and quality of greenery, improving lighting and renewing tile surfaces. Located at 37.9843, 23.7206 (Lat. / Lng. ), about 0 miles away. These districts belong to Athens. These are districts that are close by, but belong to a different city than Athens. These are some bigger and more relevant cities in the wider vivinity of Athens. These are the most popular locations in Greece on Tripmondo.